Come join the biggest St. Patricks Day celebration in the Lowcountry in the Olde Village of North Charleston. The Annual St. Paddys Day Block Party & Parade is from 12 PM to 8 PM and promises fun for the entire family. The Block Party location is East Montague Avenue between Virginia Avenue and Jenkins Avenue. The celebration will feature live music across three stages, bagpipe music, a mechanical bull, food vendors & trucks, corned beef and cabbage, Irish trivia, a Kids Zone with jump castles, face painting, local artisans, and much more and all this is brought to by City of North Charleston! East Montague Avenue will close from Park Place East to OHear Avenue at 11:30 AM and stay closed for the duration of the parade. East Montague will close between Virginia Avenue and Jenkins Avenue at 9:30 AM for set up and remain closed for the duration of the block party. This is a FAMILY EVENT we thank you for keeping it that way! and no outside coolers please! This years party will kick off with a parade starting at Park Place East (adjacent to East Montague Avenue and across from Park Circle Community Center) at 12 PM. The parade route will go down East Montague Avene to the block party location near Virginia Avenue. The party, parade and parking are free to the public. Irish Flags for the Parade can be purchased at the pub on or before Paddy's day. Come out in your best GREEN attire and Show Your Irish Pride! 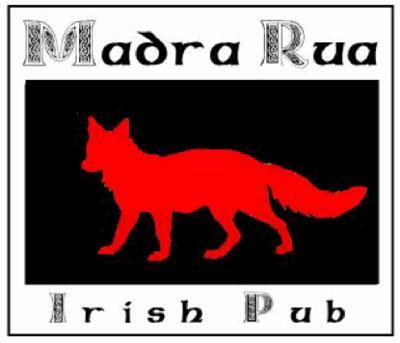 For dates and more information visit Madra Rua's St. Paddy's Block Party.